(NaturalNews) The Bill and Melinda Gates Foundation is praised for its philanthropy around the world, but much of the foundation's good deeds are merely no-consent vaccine experiments carried out on the poor. Under the pretense of providing healthcare to third world countries, the Gates Foundation instead coerces tens of thousands of children to test out various vaccines for pharmaceutical companies. Bill Gate's massive wealth from selling computers is being redistributed to pharmaceutical research, as human rights-violating corporations such as Merck and GlaxoSmithKline test out new vaccines on multiple thousands of unsuspecting victims. In India, the propaganda campaign is in full force, as the natives are instructed to get their "well-being" shots. 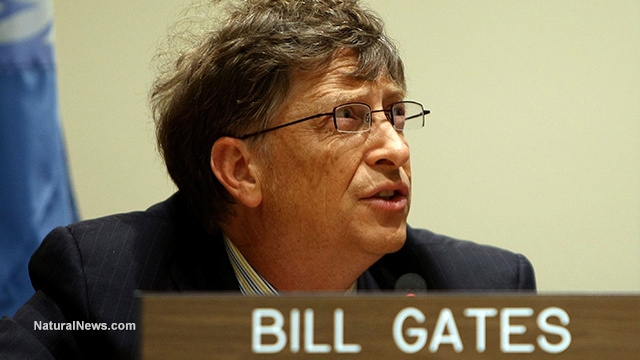 The resulting health problems have been noticeable and devastating, raising questions about the sinister motives behind the Gates Foundation and their extraordinary vaccine push. In 2009, the tribal children of the Khammam district in Andhra Pradesh were gathered together and told they would be receiving healthcare shots. Even though the Gates foundation has the wealth to give these tribes access to clean water, sanitation services, nutrition and low stress living conditions, they instead push for HPV vaccines and call them "well-being" shots. The shot these young girls received was an HPV vaccine manufactured by Merck and administered by the state's health department. The young girls, aged 9–15, were instructed to line up for three doses of the vaccine. As the months rolled on, the health of the 16,000 girls rapidly deteriorated. Five of the girls died shortly thereafter.